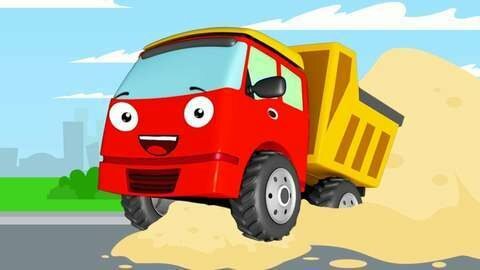 The two naughty race cars removed the doors of the colorful Truck in this car cartoon for kids. The Truck tries to chase them but ends up crashing into a pole. After getting repairs on the auto shop and an arm as an upgrade, he gets back at the two naughty race cars and throws the cabbage on them. Have fun while learning by letting your kids watch the cartoons at SeeZisKids.com.